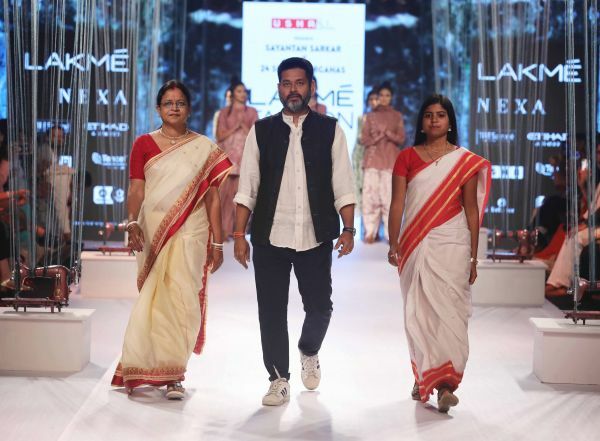 Future Of Fashion: The Sustainable Day At LFW 2018 Deserves Your Attention! 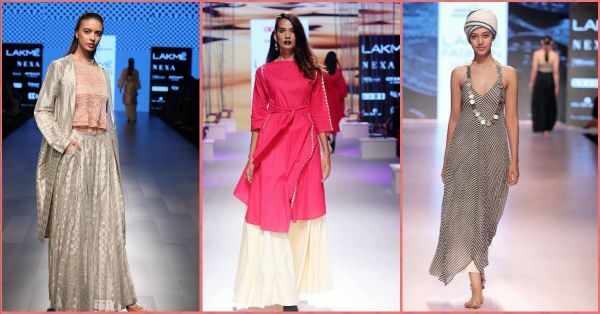 The Sustainable Day at The Lakme Fashion Week is a treat for an audience craving innovation. From the opening show to the finale, the Day 2 at the LFW Summer Resort 2018 was a whirlwind of emotions. We witnessed innovative collections born out of unconventional techniques. A proud display of cultural heritage and tradition beamed throughout the day. And women from craft clusters based out of rural parts of India stole the limelight with their humble and creative glory! Here are some of the highlights of the day. 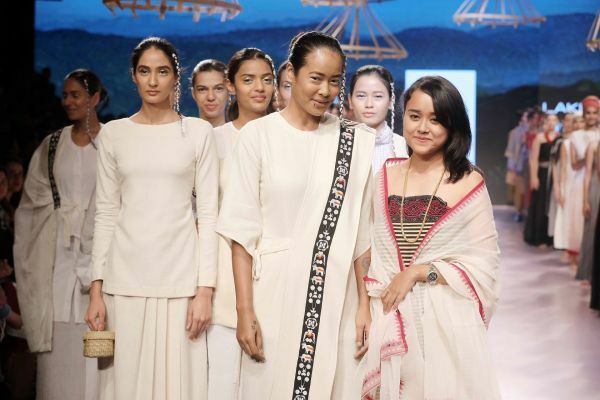 Aptly labelled as #NorthEastMojo, five fabulous Northeast designers took up the challenge to give a captivating opening to the Sustainable Fashion Day at the LFW Summer Resort 2018. 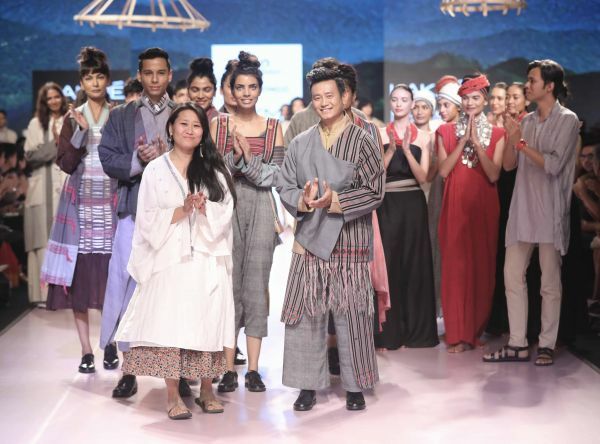 The show stuck to traditional themes from Meghalaya, Sikkim, Tripura, Manipur, Nagaland and Assam. 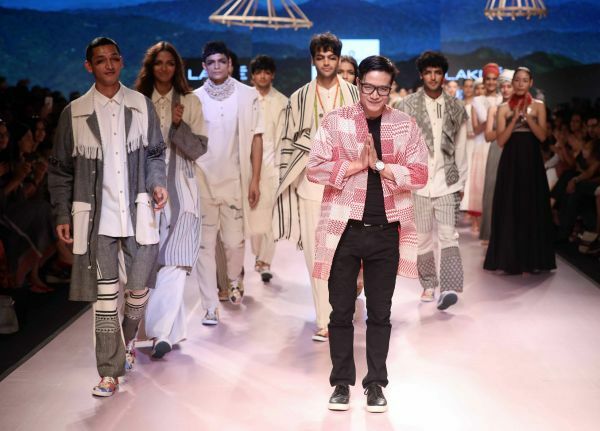 In a first, the fashion world has collaborated with The United Nations India, boosting the crafts while bringing to the frontlines an array of designs that speak volumes about their rich heritage. 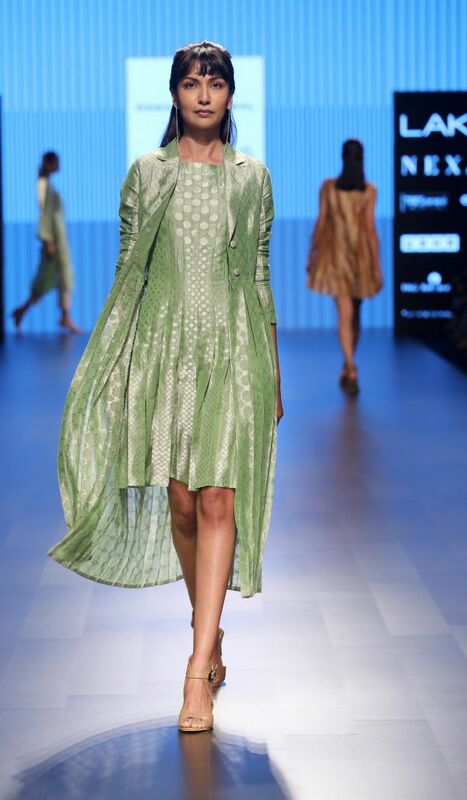 This NIFT alum had us in a trance with organic the clothing sustainable fashion showcase. Working with a colour palette of carbon black, ivory, shades of grey, taupe and rosewood, the garments had a touch of class and sophistication. The LFW runway was awash with detailed pleats, folds and layers! 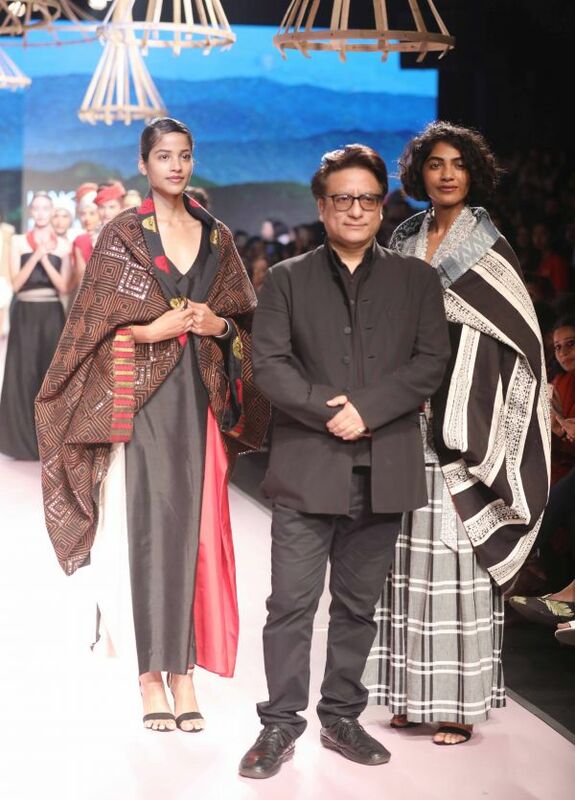 In a bold move, Pankaja Sethi in collaboration with Odisha Weaves decided to skip the LFW runway and displayed her collection in a moody presentation instead. 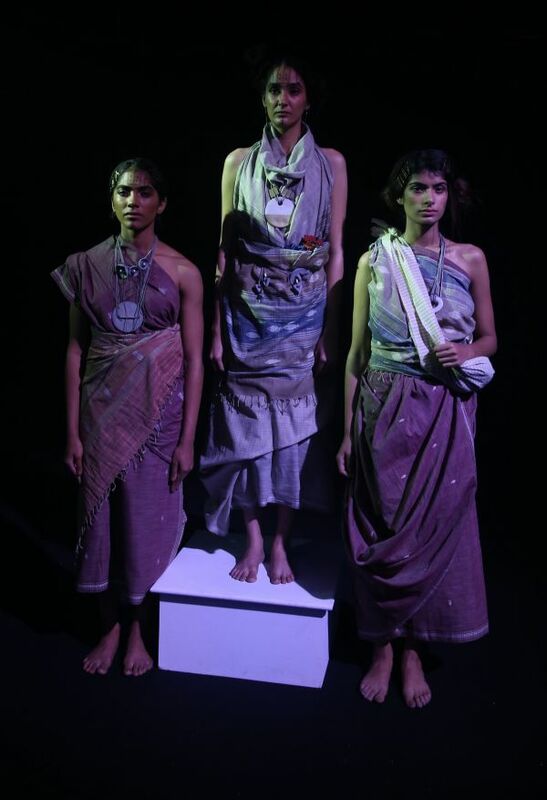 Installed in mist-filled and sombre lit 6 Degree studio at the LFW grounds the collection represented the beauty of Odisha and Adivasi folklore. The garments are all hand woven in organic cotton, finished with natural dyes and weaves. 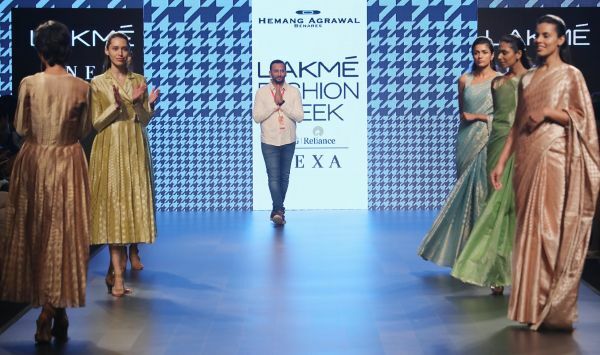 Hemang Agrawal’s LFW sustainable fashion line “Un-Revive” was dominated by the textiles of Banaras. The garments have been worked on with modern weaving techniques and motifs, the result being a line dipped in tartan checks, houndstooth, polka dots and contrasting stripes. 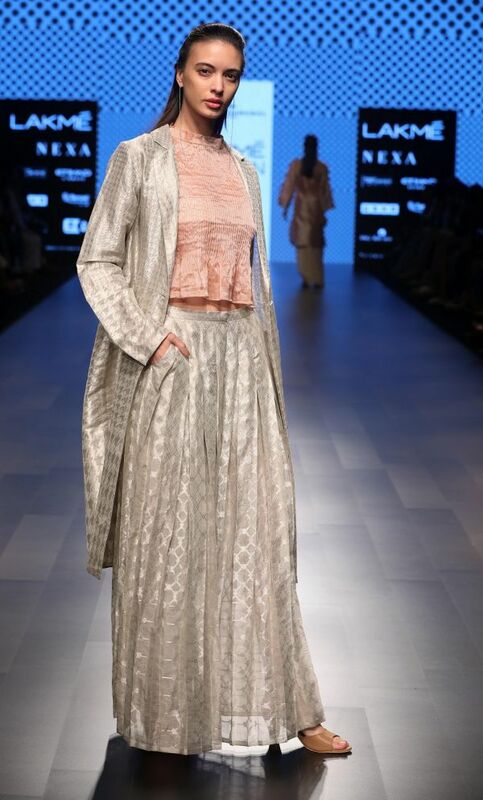 The range of dresses, summer trenches, pleated skirts; culottes, trousers and saris got their distinctive looks from combining precious metal yarns with pastel colours. We absolutely loved this line of light metallics, ushering maybe a new kind of summer favourite! Trust us when we say that there wasn’t a dry eye on and off the LFW runway at this groundbreaking show! 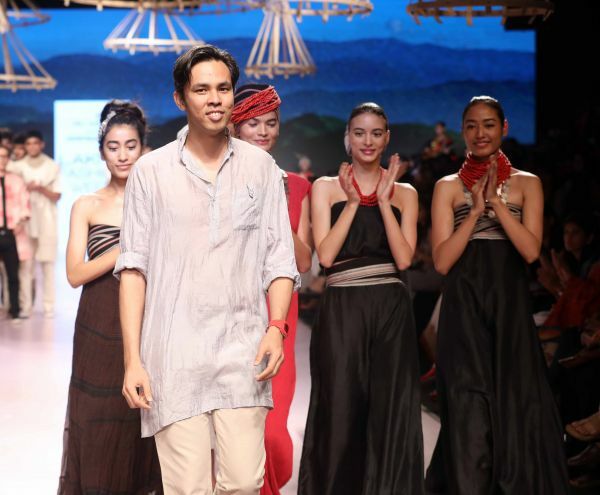 Receiving a standing ovation from the crowd, this project is the work of four top designers with the Usha Silai Clusters in different parts of India. This initiative born out of the collaboration with Usha International, India’s leading manufacturer of sewing machines, fans and home appliances, and IMG Reliance. 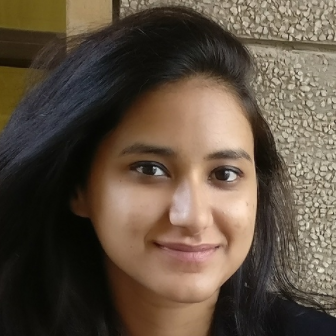 The program aims to empower women in rural areas with skills and resources to manufacture garments and accessories that can be positioned in an urban marketplace. 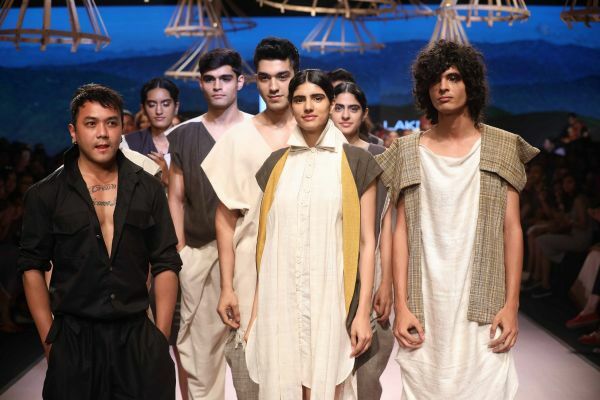 With aesthetics vastly different from another, yet is grounded in a common theme of Indian culture, the show was an important dialogue in inclusivity. The creative hubs of Rajasthan, Bengal, Gujarat and Puducherry, led by hard-working women, deserve this recognition and how!